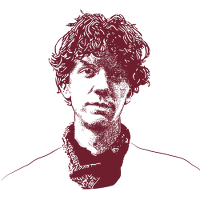 This site was commissioned by the trustees of Courage (formerly the Journalistic Source Protection Defence Fund), dedicated to building support for Jeremy Hammond and providing information on the threats he continues to face. We also seek to draw attention to the issues Jeremy’s alleged actions have raised and support his desire for reform of them. One of the tasks of the trustees is to oversee the functioning of Courage, which has been set up to raise money for journalistic sources’ legal defence campaigns. Jeremy Hammond is Courage’s second beneficiary, but he will not be its last. We expect to be supporting more journalistic sources and whistleblowers in the future and we expect to grow as more journalistic sources are nominated as recipients. This work by FreeJeremy.net is licensed under a Creative Commons Attribution-ShareAlike 4.0 International License. This means that you are free to copy and share anything you find on this website – we want people to know about Jeremy and the issues surrounding his case! But please, provide a link back to us. Thanks!